The Cajon has always been recognised as being a portable drum kit for musicians that want to record and perform anywhere. since its creation, the Cajon has retained the same fundamental features... until now. The Roland EC-10 Electric Cajon gives you all of the qualities that have made the Cajon so popular over the years but adds new digital power putting the dynamic world of hybrid percussion in your hands. The EC-10 Electric Cajon is crafted from high quality wood including a sapele playing surface to give you the same dynamic Cajon sound that traditional players will be used to. The size of the EC-10 also remains traditionally small (50 x 30 x 30cm) with no uncomfortable additions that may hinder your percussive enjoyment. Inside the EC-10 is where things really get interesting thanks to the built in sound module that allows you to layer up with digitally replicated drums. 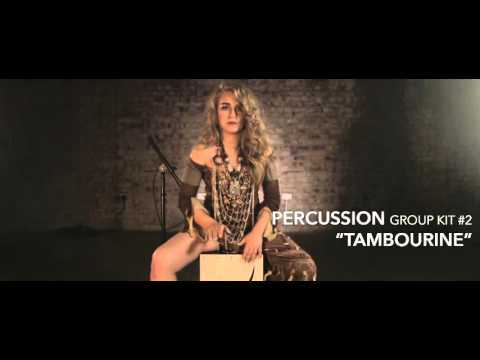 Everything from traditional percussion instruments including tambourine, cajon right through to backbeats, acoustic or TR-808 snare, or low-end thumping electronic kick drums. The Roland EC-10 Electric Cajon comes with easy to use top mounted controls so that you can easily flow through sounds and effects mid-performance. Dedicated buttons are used to scroll through sound categories, while neighbouring buttons allow you to select a number of variations within a category and from there simply adjust your head and edge volumes to get your perfect balance of acoustic and electronic sound. whilst the addition of an electrical element may arouse suspicion that the EC-10 isn't a self-contained instrument, nothing could be further from the truth. Whilst it can be run via mains supply, the EC-10 can also run for up to 12 hours on 6 AA batteries! And for truly solo performance, the EC-10 has an input for Smartphones or tablets for you to jam along with backing tracks anywhere. If you want a high quality acoustic Cajon with the addition of digital sounds and extra amplification, the Roland EC-10 Electric Cajon represents true innovation and will not fail to impress wherever you choose to play it.